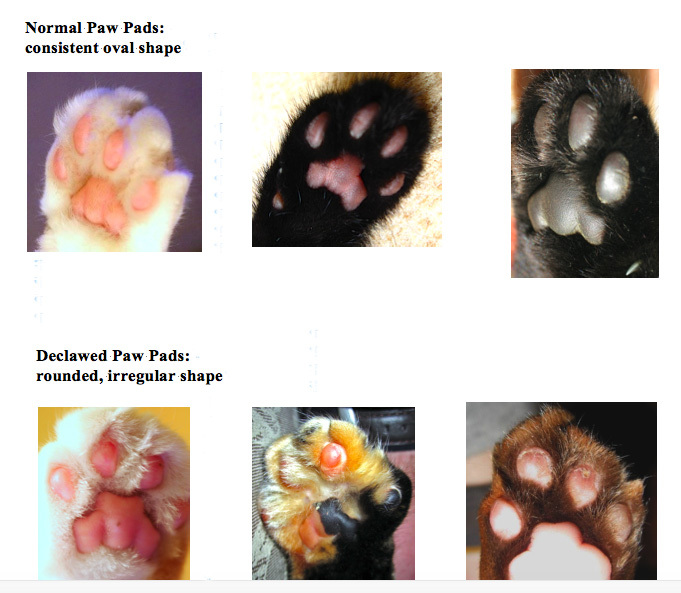 The change in focus of weight from the base of the amputated P3 to the much smaller surface of the distal P2 actually alters the shape of the paw pads, similar to the way guitar players develop calluses on the tips of their fingers. 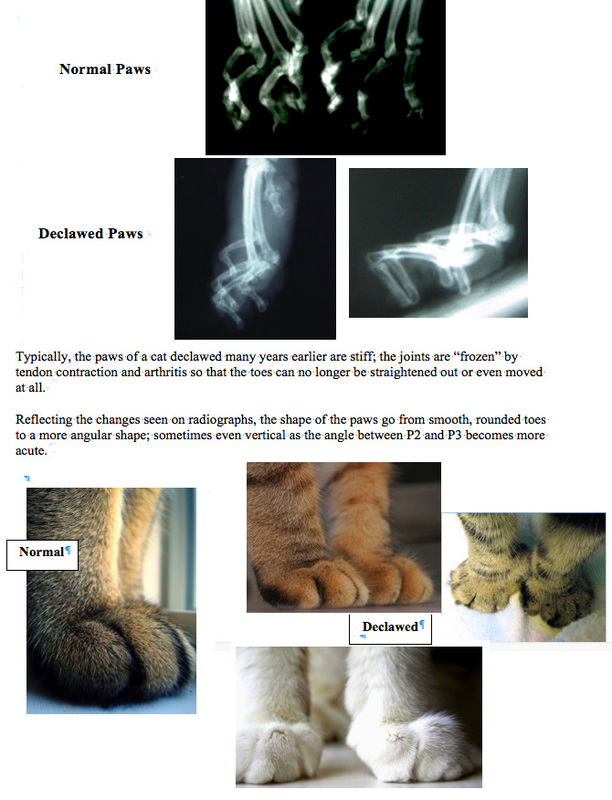 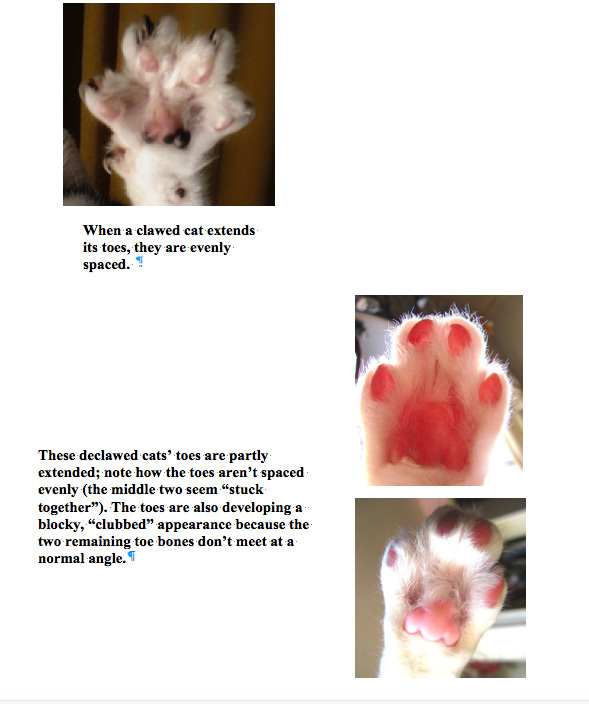 These changes are easily observed in declawed cats. 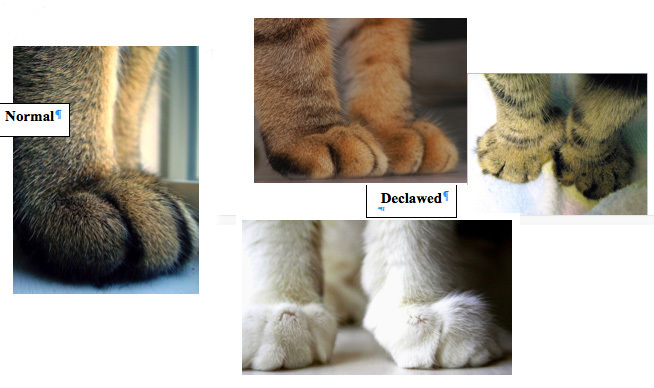 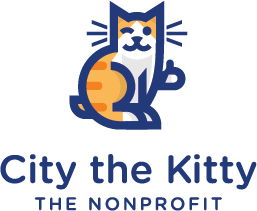 Declawing even changes the way the toes move, because the surgery severs tendons and ligaments, which have a relatively poor blood supply so they heal very slowly. 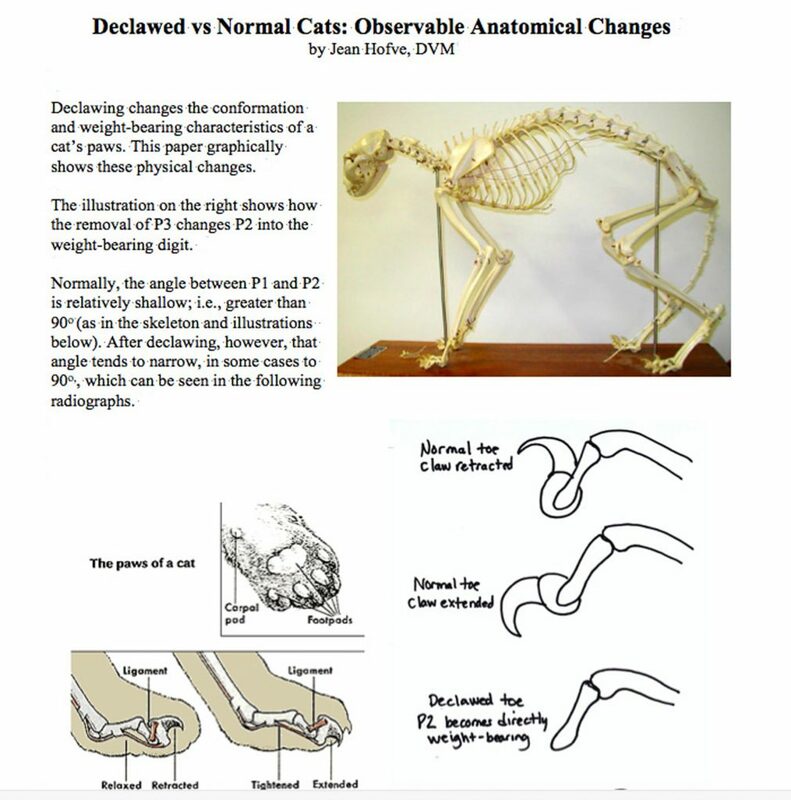 Scar tissue also forms, which eventually shortens the tendons and ligaments and affects range of motion.